Have you heard of Red Hat Linux? It is a branded version of the Linux operating system that is extremely reputable among experts and users. CentOS is an open-source version of the RH Linux that is equally stable and secure. Let’s take an in-depth look at the features, and other relevant details you should know about this operating system. Linux CentOS is a free operating system derived from the Red Hat Linux, which has a reputable position in the community. The initial version of this OS was released in 2004, and it has been a community-supported distro from day one. CentOS has strived to maintain compatibility with RHEL. The team developing the OS is not big, but they are giving their best to create an operating system that will attract an increasing number of users. Each version of CentOS guarantees 10-year support when it comes to security updates. The developers have tried to release a new version each couple of years. It is free and open source – for users, that means they can download and use it for free without any limitations. For developers, that means they can access the code of the operating system at any time. 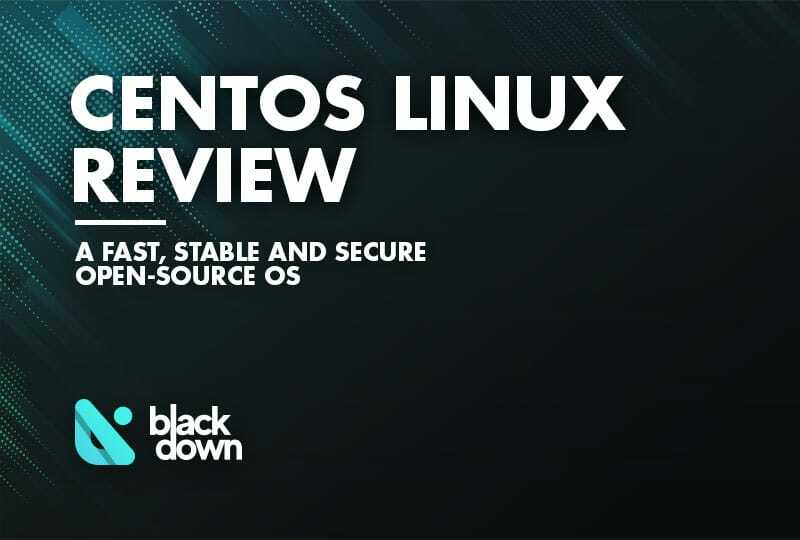 Stable and secure – it doesn’t come as strange for Linux-based systems that have a high level of stability and security, but it is worth mentioning that CentOS gets things right in this department. Excellent speed – due to the focus being on running basic software variants, this OS has admirable speed even when compared with other Linux systems. Changed the Default Filesystem – this is important because of the performance speed, as well as the option of scaling filesystems to 500TB. Upgrade path instead of reinstalling – it saves a lot of time, and it is much more convenient. Systemd instead of the init system – another feature that optimizes performance and boosts scalability. Before installing Linux CentOS 7, you will need to download it. You can do that for free from the official website of the operating system. On the download page, you will notice that you have two different versions available to download. Minimal ISO – the crucial difference is that this version doesn’t provide a GUI (graphical user interface). That makes it unsuitable for beginners and those used to operating systems utilizing GUI. On the plus side, the download is truly minimal, and it is a great option for ancient machines. Apart from these, you can also choose other alternative downloads, such as the Everything ISO. That version contains a complete installation and contains more than seven gigabytes of data. You can also choose between two different live variants – GNOME and KDE desktop. We live this to your preference, although Gnome seems to be more popular. Either way, you shouldn’t have a lot of trouble installing CentOS 7. The entire process should take about half an hour. After you start the installation, you should pick your language and then the desired destination for the installation. It would be smart to have a Wireless connection available as that makes the entire process easy. You can easily adjust the desired connection in the upper right part of the screen. After going through all the basics, you will complete installing Linux CentOs. That, however, isn’t the end of the process. You should also ensure to install the desired desktop environment. That will take you a couple more minutes, but the process is equally straightforward. Have you noticed the simple desktop environment after you installed CentOS? It is basically a wallpaper on the background and a couple of panels. Feel free to browse around and get to know your new operating system. You can access the applications from the corresponding panel, and there is also a places panel next to it. At the upper right part, you will notice shortcuts for various settings, such as Bluetooth, power, audio, user, and network. You can change this environment to the real Gnome desktop if you log out, adjust the settings and log in again. For the most beginners, there are two crucial reasons to determine whether a Linux-based operating system is suitable for them. One of them is the simplicity to use the OS, and the other is the choice of pre-installed applications. Linux CentOS does a fairly good job when it comes to basic apps. There are some obvious choices, such as Mozilla Firefox as the default web browser, LibreOffice for managing your office needs, and Rhythmbox as the default audio player. The useful utilities include clock, calculator, contact, as well as the basic text editor gEdit. Some of the other interesting choices are photo manager software called Shotwell, YouTube browser, and Virtualisation app. CentOS even includes a DVD burner, and plenty of tools focused on communication. The default email app is Evolution, and the chosen chat client is Empathy. You can also use Ekiga Softphone as the VOIP client, and a webcam viewer software named Cheese. All of these are smart choices, so we suggest giving them a try. You can always replace them with another alternative later. If you are using GNOME, the default package manager to use will be their software tool. At first glance, it seems that the interface can’t get much simpler than this utility. You can browse various categories on the left while the packages and descriptions are on the right. Links to the official websites are also included if you need additional information. Keep in mind that you should make sure to untick the “display only native packages.” If you forget to do this, only a limited choice of apps will be shown. The package manager allows you to access other repositories that offer free and premium apps. It is worth noting that adding peripherals, such as printers and scanners, should be fairly easy, especially if they are network-based. Since this is a guide tailored to beginners, allow us to share some insights on tuning up your CentOS 7 to meet your expectations. The biggest downside of this Linux-based operating system is that the extra repositories to download great software are not immediately accessible. That being said, it is quite easy to use your command line to tune up your OS. Our advice is to use RPM package managers, as they can do real magic when it comes to installing whatever comes to your mind on your Linux. It is up to you whether you will execute these commands separately or at once. Keep in mind that the app needs to be included in the installed repository. Some of the apps that will work include Steam, Skype, Java, VLC Media Player, and GIMP. These simple steps should resolve any media issues you may have when you first start CentOS. Linux CentOS is one of those operating systems that are user-friendly and suitable for newbies. The installation process is fairly easy, although you shouldn’t forget to install a desktop environment if you prefer using GUI. The pre-installed apps are quite useful, and installing additional ones is quite simple from the package manager provided. However, you may need to resort to installing additional repositories and installing from them, especially if you want to set up audio and flash to work properly. That may require a bit of effort on your side, but you will feel proud once you set up everything. Overall, Linux CentOS is a reliable, stable, and fast operating system worth trying for both those who are only entering the Linux world and experienced users.